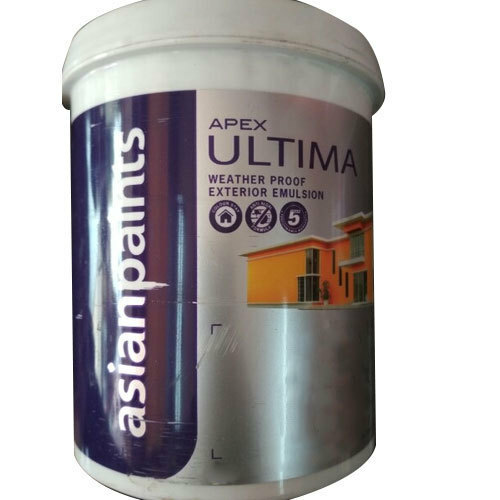 Leveraging the skills of our qualified team of professionals, we are instrumental in offering a wide range of Apex Ultima Paint. Since 2010, Aditya Agencies is gratifying its customers by offering the product as per the laid specifications. The main headquarter of our corporation is located at Old Bowenpally, Hyderabad, Telangana. Being a Sole Proprietorship entity, we not merely focus on pleasing our self needs but satisfaction of the customers is also our major concern. By the enormous assistance of our squad, we are engaged in distributing of Exterior Primer Paint, Aurora Paint, Premium Enamel Paint, Damp Proof Paint, Asian Paints, British Paints and many more. We have recruited trained quality auditors, who examine entire process and ensure that all the regulations of industrial quality are being followed.